Explore New York's financial district on this exhilarating and educational walking tour of Wall Street. This behind-the-scenes tour, created by a former Vice President of a major investment bank, provides a true insider view of Wall Street and the billion dollar trading businesses of the world's largest financial institutions. 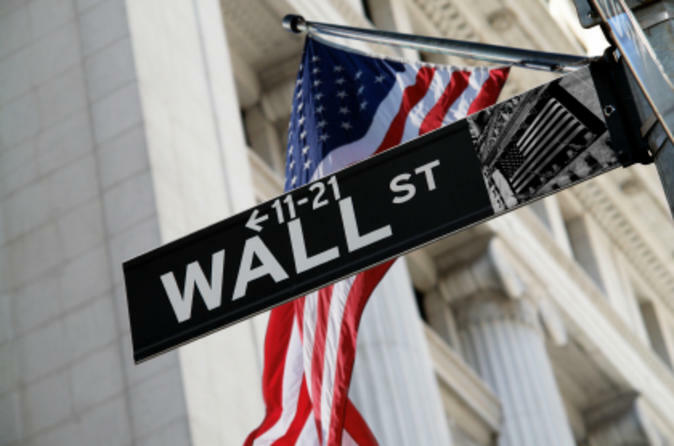 You will learn about the culture and lifestyle of a Wall Street trader, as well as gain insightful tips on the New York Stock Exchange on this enlightening New York City Wall Street tour. Guided by real Wall Street insiders, this tour of New York City's Wall Street will inform and intrigue you. Points of interest include the New York Stock Exchange, Goldman Sachs, Lehman Brothers, and Deutsche Bank, where the 'captains of industry' live and work. As you stroll by the Charging Bull, you will see evidence of the financial district's skyscraper race and observe Wall Street's historic buildings. Unearth the NYC Financial District's rich history spanning over 400 years, from its humble beginnings as a Dutch trading outpost to the modern Wall Street known today. You will see where high-powered meetings take place, and where billion dollar deals determining the feat of the American economy are negotiated. Gain insights into the stock market, new trading ideas, how capital markets work, and feel what it's like to work on the trading floor of a major investment bank. An inspiring tour of some of the biggest United States financial institutions built by immigrants and their entrepreneurial spirit.